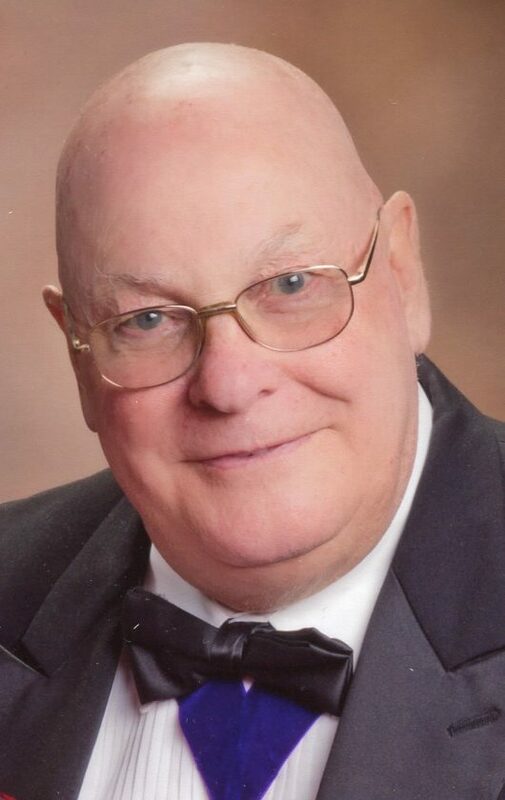 Robert Sullivan Finley, 82, of Jamestown, N.Y., passed away unexpectedly at 10 a.m. Saturday, Jan. 12, 2019, in his home. An area resident for most of his life, he was born Feb. 22, 1936, in Albuquerque, NM, the son of the late Robert Rankin and Mary Jane Sullivan Finley. Robert was a graduate of the former Bemus Point High School in 1954 and attended Jamestown Community College for two years. After college he enlisted in the U.S. Air Force and was stationed in Maine for two years, where he attended on base classes from the University of Maine. He was honorably discharged from the U.S. Air Force on July 24, 1958. Following his discharge, he returned to Jamestown, where he met his wife of 54 years, Kay. They were married in 1961 and at that time he became associated with is father-in-law in C.H. Bromley Motor Lines, where he worked as a truck driver and later was a supervisor. The business was sold in 1970 and he became a customer service manager for a large local sheet metal fabrication company and was promoted to New York State sales manager, where he served clients such as Eastman Kodak, IBM and Zerox Corporation. Bob was also associated with a local radio station and worked as a play-by-play sports announcer, broadcasting over 1500 games, both at the high school level and the college level. He had the opportunity to broadcast the NJCAA National Basketball Tournament in Hutchinson, Kas., four times. Over the years Bob had owned and operated a local bedding manufacturing company for 10 years and also owned a small market radio station and served as president for eight years, serving on the board of directors of ABC Information Radio. His later years were spent working in the automobile business as a salesman and sales manager for three local auto dealers retiring in 1999. For the next 16 years he worked as a part-time medical courier for a large national clinical laboratory, finally retiring in 2014. Bob was a very active member of the St. Luke’s Episcopal Church, where he served as an acolyte, dean of acolytes, sang in the choir for 30 years and was a licensed lay reader and a vestryman for over 25 years. He was also a community activist having memberships in several organizations including Lakewood Rod & Gun Club, Jamestown Elks Lodge, serving as exalted ruler from 2011-12 and a trustee from 2012-17, the Thule Lodge, Viking Lodge, the American Legion and the War Vets Recreation Club. Bob’s major involvement for many years was his dedication to the Masonic Lodge both on the local, state and national level, where he has held many offices and has received numerous accolades for his love and dedication to Masonry. He was raised to the Sublime Degree of Master Mason in the Mount Moriah Lodge 145, Jamestown, N.Y., in June 1970. He held plural memberships in Peacock Lodge 696, Mayville, N.Y., where he served as master in 1985 and Carroll Lodge 1147, Frewsburg, N.Y. His other memberships include, Pennsylvania Lodge of Research (charter member), Jamestown Lodge of Perfection (Honorary Thrice Potent Master), Jamestown Council Princes of Jerusalem (Honorary Sovereign Prince), Jamestown Chapter of Rose Croix (Most Wise Master), Jamestown Consistory (Past Commander in Chief), Valley of Jamestown (past treasurer), the Valley of Rochester, New York State Council of Deliberation (past secretary), Western Sun Chapter 67, Royal Arch Masons, Jamestown, (Past High Priest), Order of the Olde Saratoga, Dunkirk Council of Crypic Masons 25, Dunkirk, NY, (past master), St. Georges Council, Order of Anointed Kings, Jamestown Commandery 61 (past commander), Dunkirk Commandery 40, Blaney Commandery 5, Tremont, Ill., Empire State Commandery 83Willermoz Lodge 1, Sovereign Order of the Knight Preceptors, Demolay, Honorary Legion of Honor, the Knights of the York Cross of Honor, the Red Cross of Constantine, St. Marks Conclave, Buffalo, N.Y., United Grand Imperial Council, Red Cross of Constantine (past Grand Sovereign), St. Thomas of Acon, Pilgrim Chapel 1, Royal Order of Scotland, Grand Lodge of America, Holy Royal Arch Knight Templar Priests, Knight Masons, Fenian Council 72 (life member), York Right College, Niagara Frontier College 77, Buffalo, N.Y., Kharram Grotto, Jamestown, N.Y., the Tall Cedars of Lebanon, Rochester Forest 133, Ismailia Shrine Temple AAONMS, Buffalo, N.Y., Jamestown Shrine Club (past president), Royal Order of the Jesters and Life Member of the Kachina Klub. Surviving is his wife, Katherine (Kay) Finley, whom he married May 13, 1961; a sister, Elizabeth (Leonard) Nordin of Jamestown, N.Y.; a niece, Dinae Cooksey of Spartanburg, S.C.; two nephews: Dr. Jeffery (Dawn) Nordin of Grayslake, Ill., and Daniel (Maria) Nordin of Dunbarton, N.H.
A memorial service and Masonic funeral service will be held at a later date to be announced in the spring of 2019. Memorials may be made to the St. Luke’s Episcopal Church, 410 N. Main St. Jamestown, NY 14701. You may leave words of condolence to Bob’s family at www.lindfuneralhome.com.